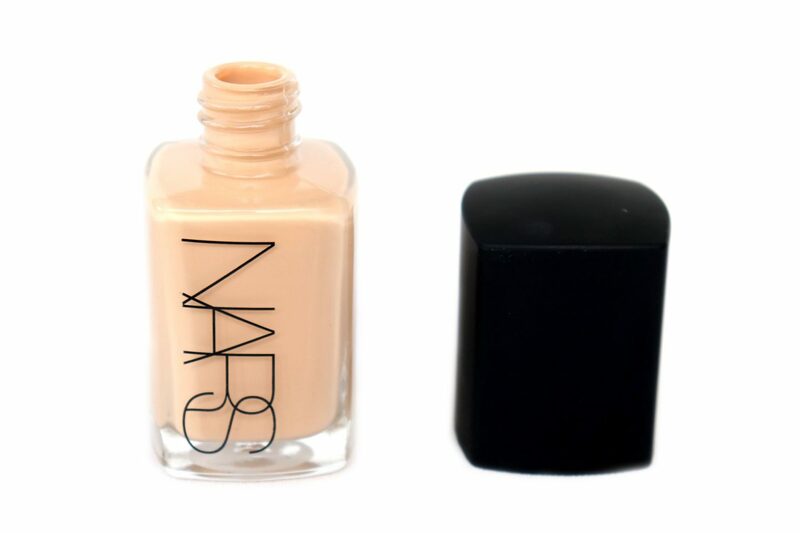 The NARS Sheer Glow Foundation (€43,00 Euro/30 mL) is a sheer and buildable foundation with a natural looking finish, available in 40 different shades. 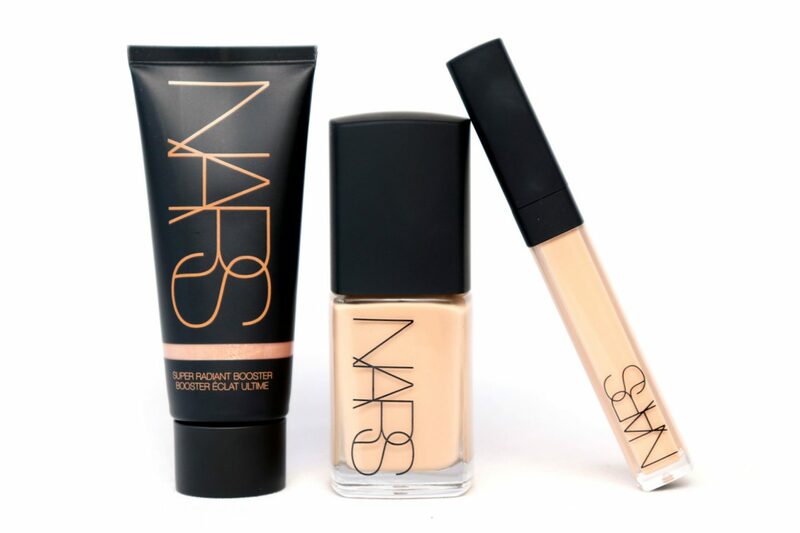 The foundation is enriched with skincare ingredients such as Vitamin C , Turmeric Extract and Glycerin, combined with the NARS Complexion Brightening Formula for a hydrated, softer, and smooth skin. Using the foundation on a daily basis is also supposed to improve the skins brightness and texture over time. As you can see from the picture above, this foundation does not include a pump but you can buy one separately for €2,50 Euro, so keep that in mind if you’re interested in purchasing this product. I’ve received the NARS Sheer Glow Foundation in the shade Punjab, described as Medium 1 – Medium with golden, peachy undertone. The foundation has a lightweight, creamy consistency that applies in a very thin layer, perfect to build up if needed. The pictures above show the foundation freshly applied (left) and dried (right). The product dries down to what I would describe as a satin matte finish, having a subtle sheen and feels dry to the touch. 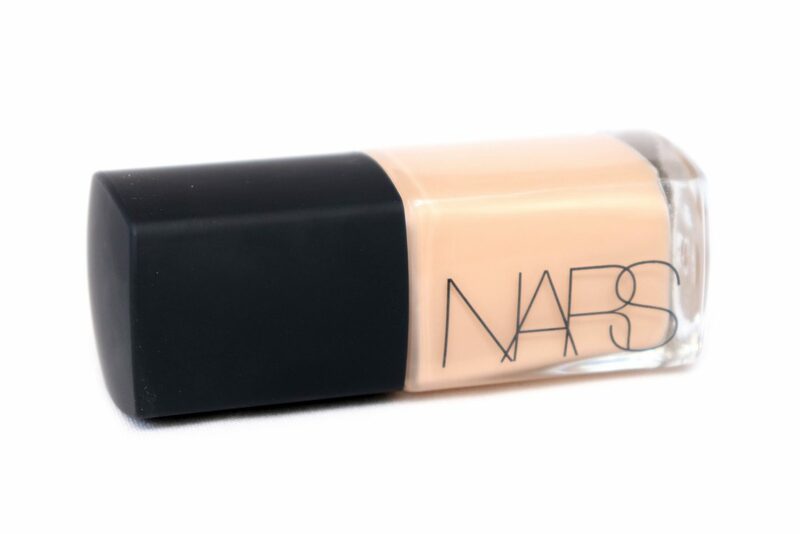 The NARS Radiant Creamy Concealer (€30,00 Euro/6 mL) is one of the most popular products from the brand, known for its luxurious texture and luminous finish, available in 30 different shades. The concealer is enriched with skincare ingredients Magnolia Bark Extract, Grape Seed Extract and Vitamin E, combined with Light Diffusing Technology to hydrate and create a softer, smoother complexion, diminishing the appearance of fine lines and signs of fatigue. I’ve received the NARS Radiant Creamy Concealer in the shade Marron Glacé, described as Light 2.8 – Light to Medium with yellow undertone. 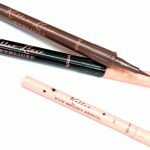 The concealer has a creamy consistency and has a buildable, medium coverage. The pictures above show the foundation freshly applied (left) and dried (right). The product dries down to what I would describe as a satin matte finish, having a subtle sheen. The NARS Super Radiant Booster (€32,00 Euro/30 mL) a new, Limited Edition product that amplifies the skin’s illumination with a pearlescent glow. 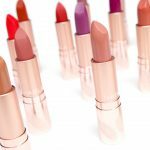 The product has a layerable texture and can be used in a multitude of ways, such as layering underneath foundation or used as a subtle highlight. It also intensify the radiant effects of other products by mixing in a drop for an all-over, radiant glow. The NARS Super Radiant Booster comes in one universal, rose gold shade named Isola Rossa, which is supposed to flatter all skin tones. The product has a lightweight, creamy consistency that can be easily distributed for a buildable, pearlescent sheen, feeling completely dry to the touch when set. 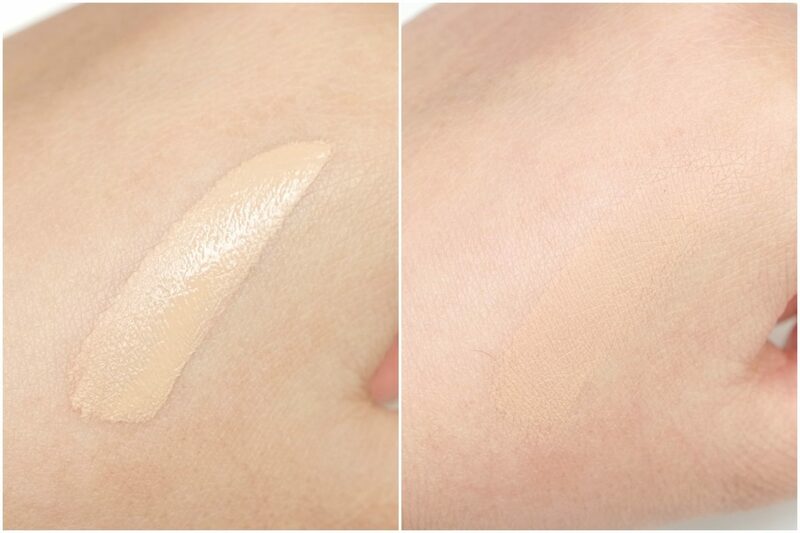 The picture above shows a before (left, bare face) and after (right) using one layer of the NARS Sheer Glow Foundation in Punjab, applied using a beauty sponge. I actually was surprised of how matte the foundation looks! I would think that a foundation with such a name would have a very dewy finish. Because the foundation has more of a Satin Matte finish, I can still see some radiance coming from my skin. I definitely think that the texture and finish looks natural on me. 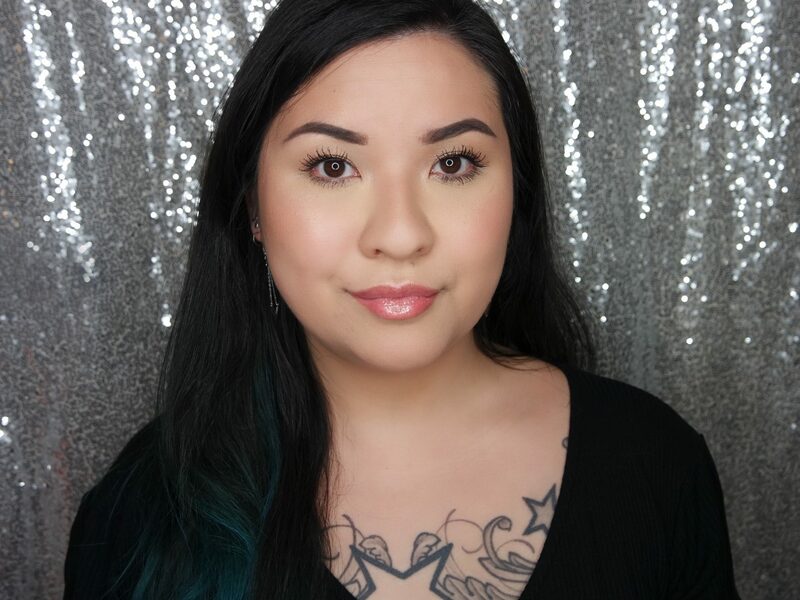 I love how the product evens out my skin without a lot of coverage. I personally love a sheer to medium coverage so I’m a big fan the foundation. 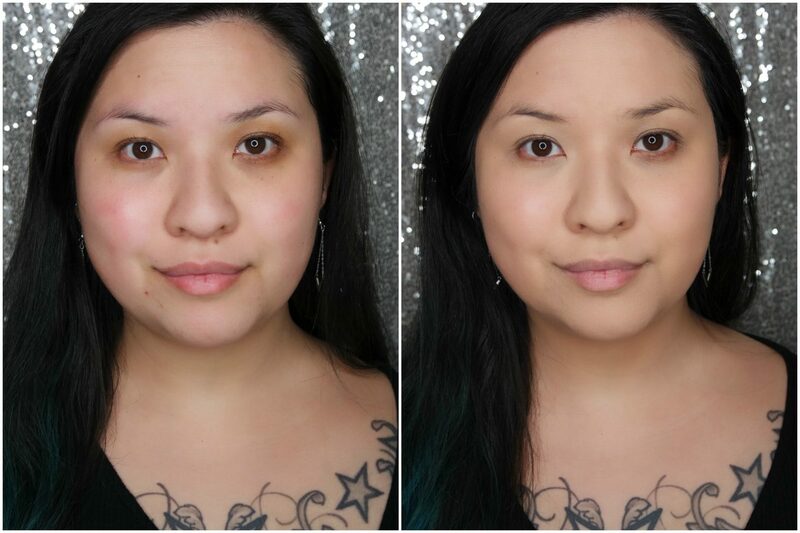 The picture above shows a before (left, foundation applied) and after (right) using the NARS Radiant Creamy Concealer in Marron Glacé, applied underneath my eyes using a beauty sponge. 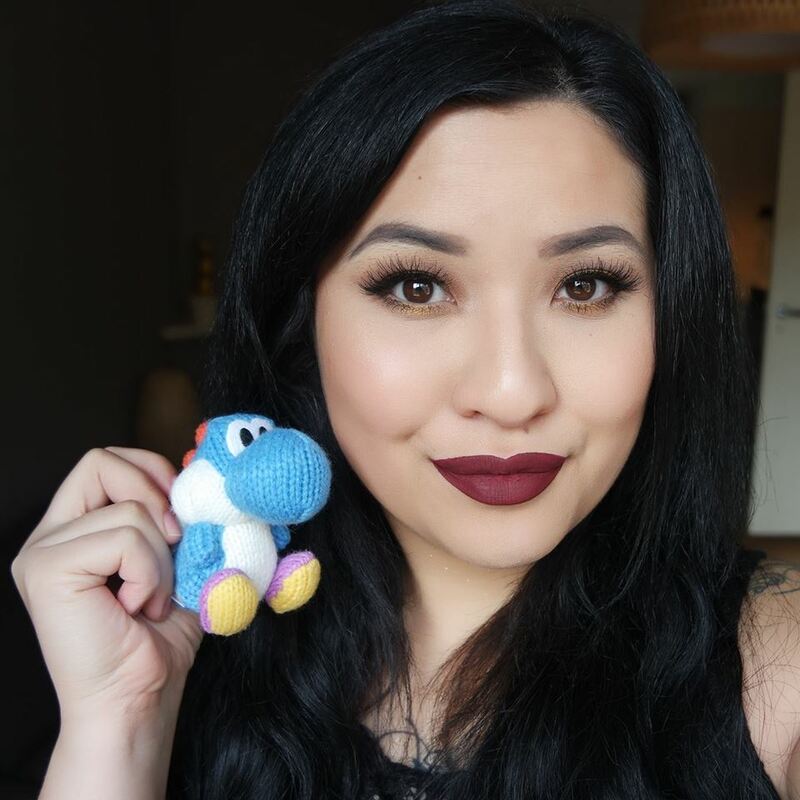 The concealer did brighten up the under eye area, but you can still see some darkness underneath. 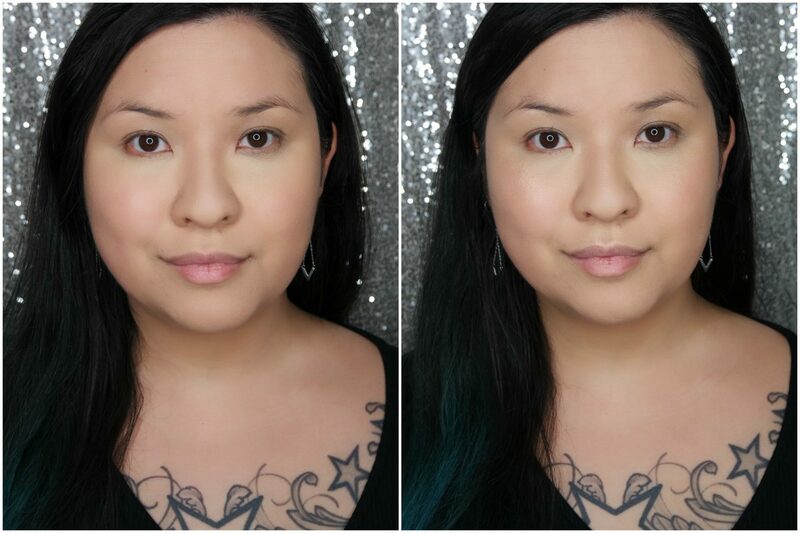 Unfortunately, the NARS Radiant Creamy Concealer creases on me, no matter what I do. I have some experience using this concealer and tried not setting, setting it lightly or baking with my go-to setting powder and it still creases in the fine lines underneath my eyes, which is why I wouldn’t recommend this product for mature skin types. In the picture above, I did set the concealer using a setting powder. 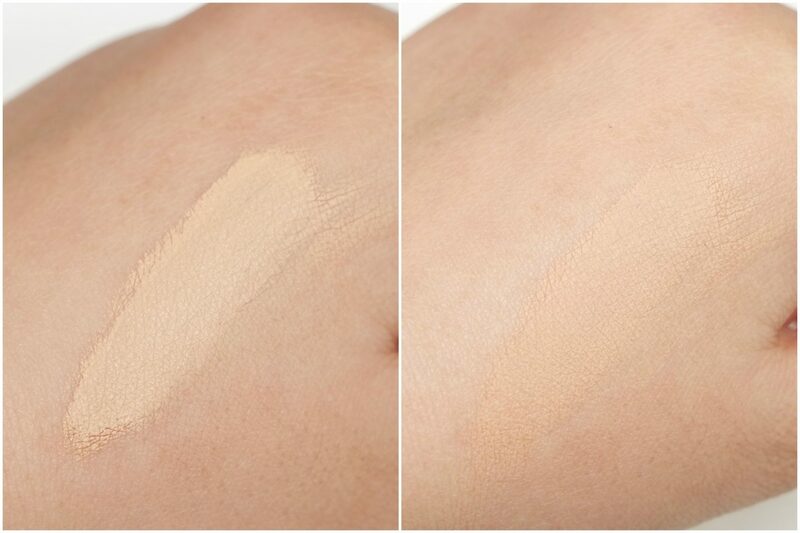 I think because the concealer has a medium coverage, it looks more natural and complimenting to the sheer foundation. I think this concealer looks nice on a daily basis with a natural look, but I personally prefer a more higher coverage concealer that doesn’t crease on me. 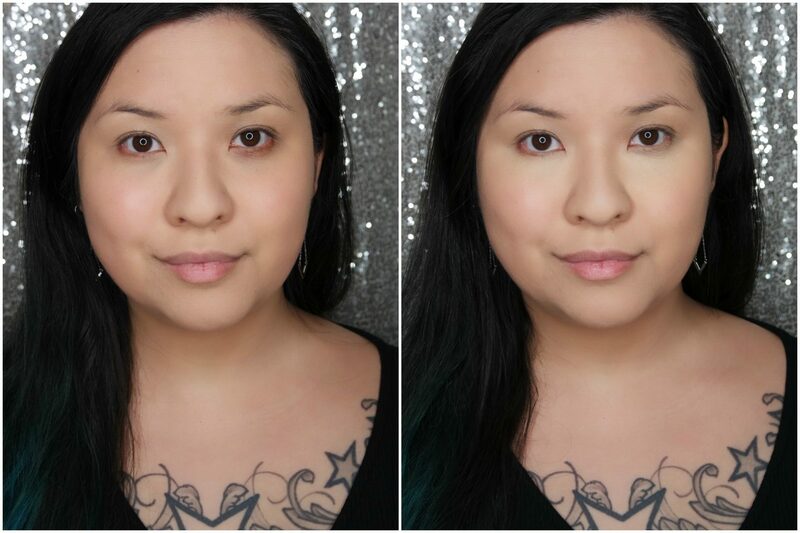 The picture above shows a before (left, foundation and concealer applied) and after (right) using one layer of the NARS Super Radiant Booster, applied on top of my cheeks, cupids bow, on the bridge of my nose and on the inner corners of my eyes using my fingers and blending out the edges using a beauty sponge. 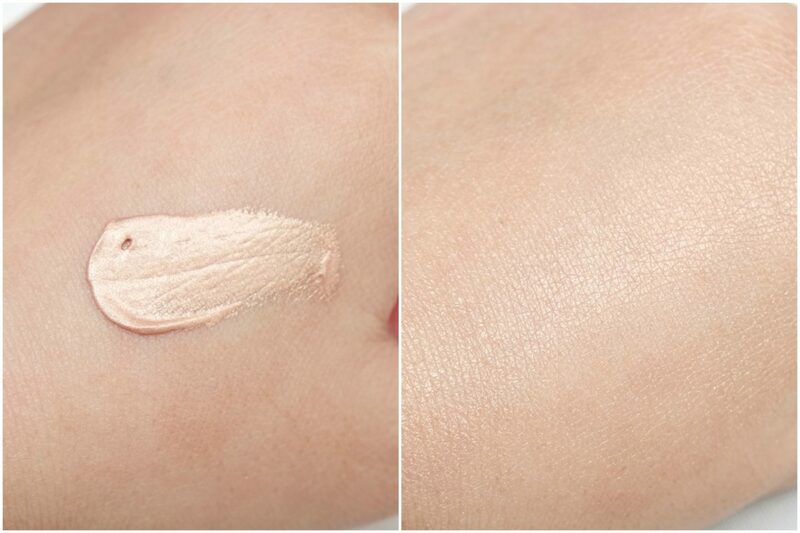 As the product is described, this looks very subtle and natural as a highlighter, perfect for an everyday look. 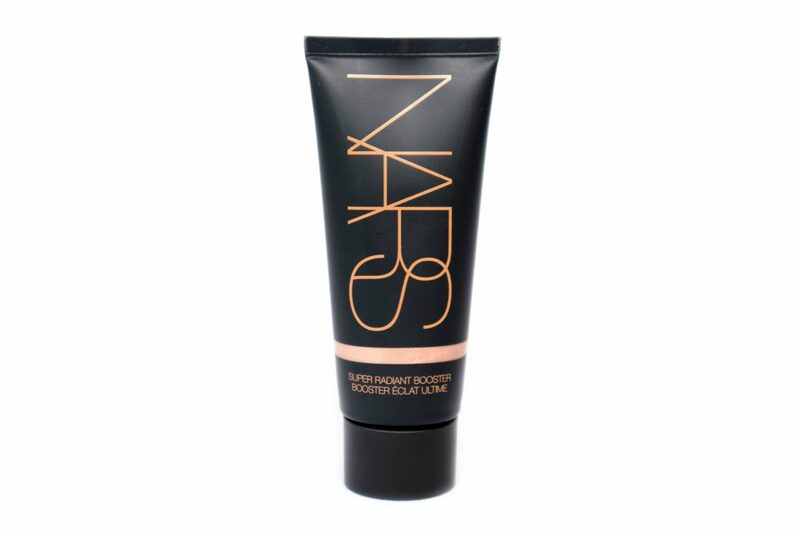 I chose to show you the product as a highlighter because it’s easier to see the difference in picture, but I actually used and prefer this product as a radiance booster for the NARS Sheer Glow Foundation. The product gives a subtle difference, making my skin look slightly more radiant and healthy looking. 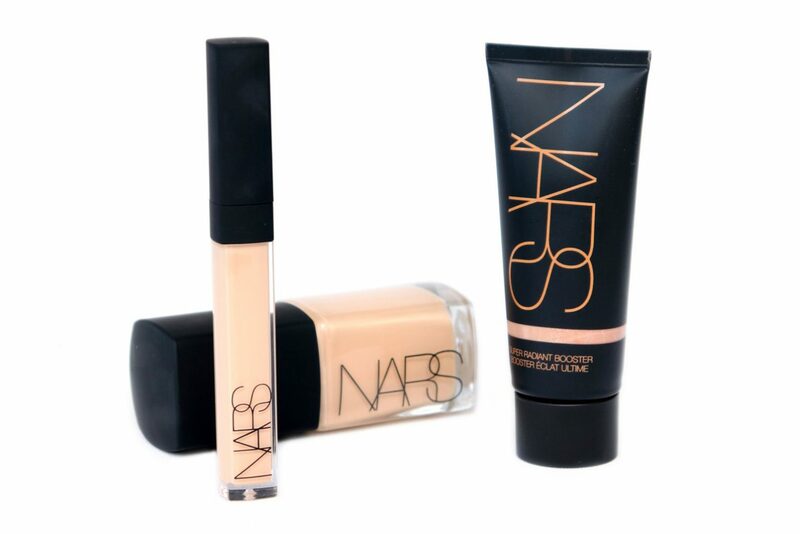 Here are the NARS Radiance Repowered Lineup products combined with a natural make-up look. For the base, I only applied a bit of bronzer and blush, so didn’t add any extra highlighter on top of the NARS Super Radiant Booster. I think my skin looks absolutely beautiful and natural. This is the kind of make-up what I prefer on a daily basis. 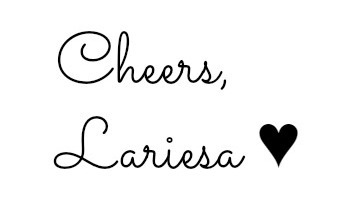 I do feel like the product compliment each other perfectly. I can definitely recommend to check out the products if you love a natural (buildable) and radiant base for your skin. The products of the NARS Radiance Repowered Lineup are available at DeBijenkorf.nl and at the De Bijenkorf warehouses in Amsterdam, Rotterdam and Utrecht. Are you a fan of natural looking face products? Which of the NARS Radiance Repowered products would you like to try out? De producten zien er goed uit! Wat een prachtig en uitgebreid artikel heb je gemaakt.